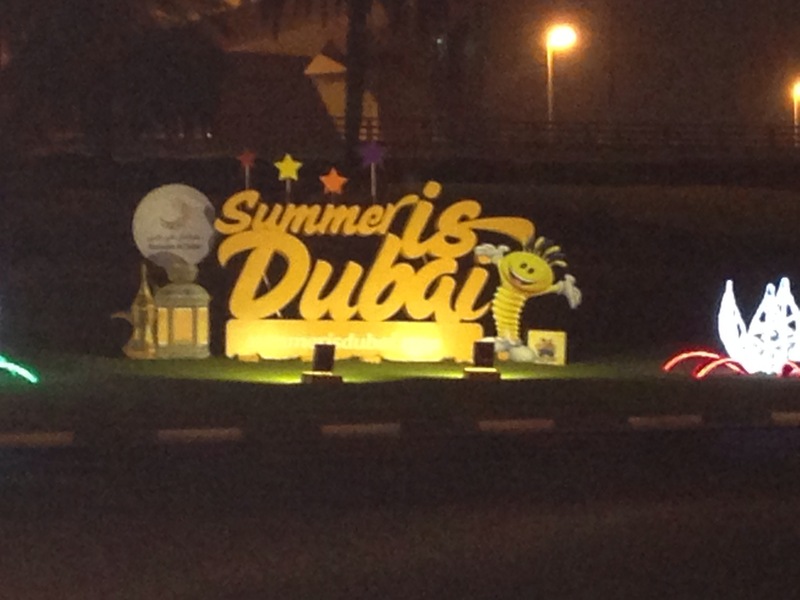 It is summer in Dubai, and by nature this means quite hot weather. This summer I have almost spent entirely in Dubai. And enjoyed it! 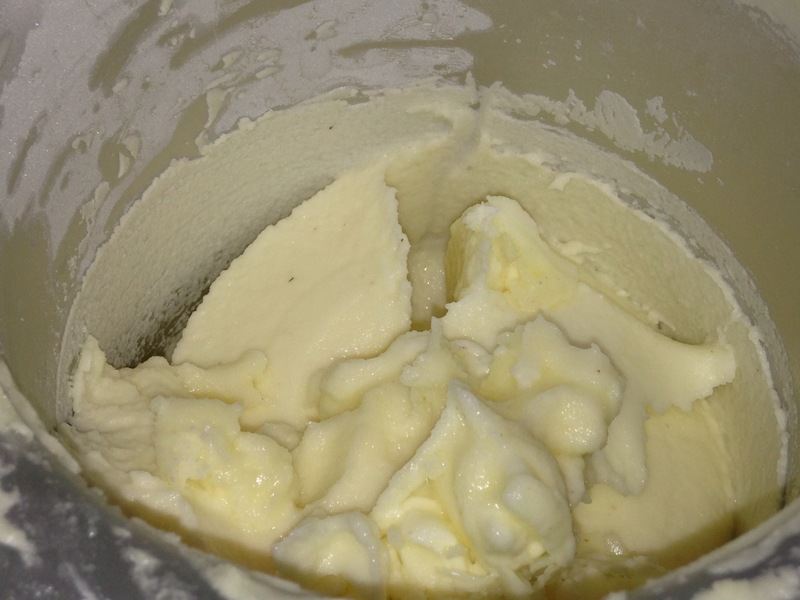 One reason is a newly purchased, beautiful ice cream maker at home, all my pride, especially in this hot weather. 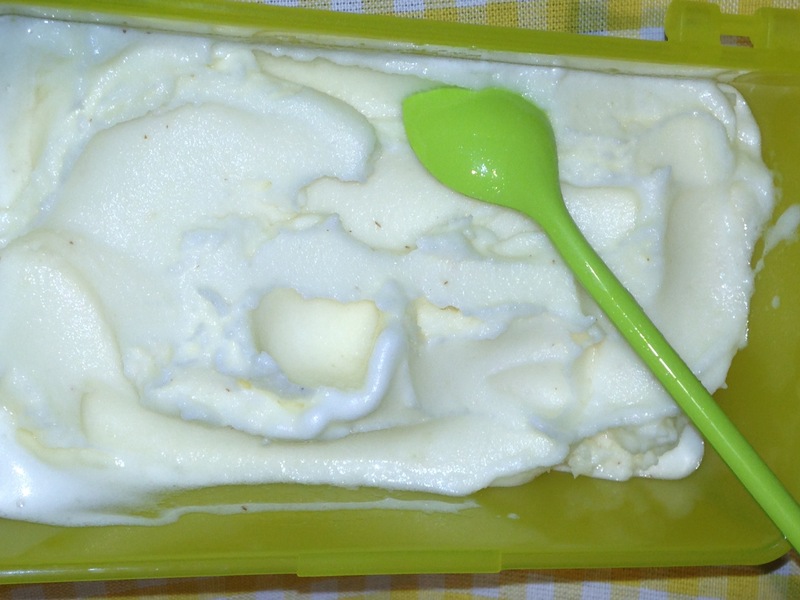 Prefering sugar free, additive free food for myself I usually never eat ice cream or sorbet which is not home made. 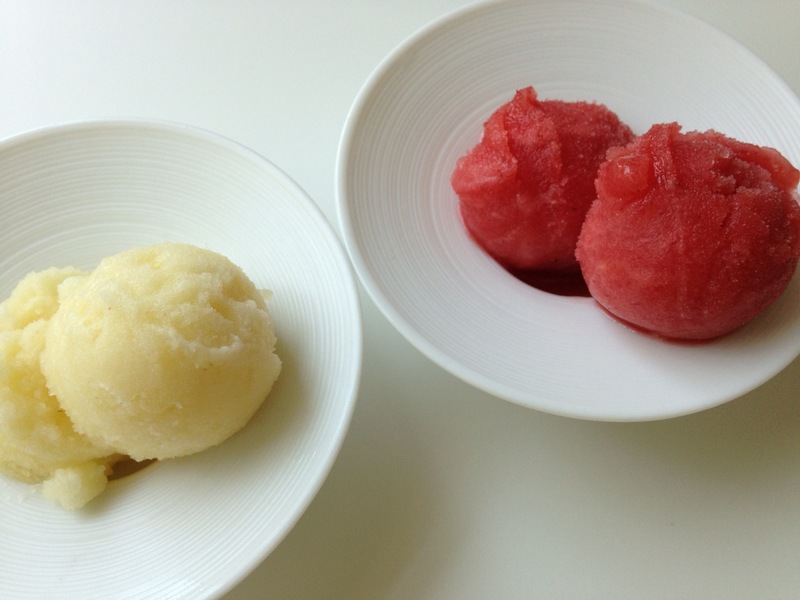 Because of the heat I currently do mainly sorbets at home. Delicious, pure fruit purees with no or very little agave syrup or acacia honey, depending on the sweetness of the fruits. Sometimes I just don’t add anything. Sometimes I add some spices too. It is ready in almost no time and such a pleasure to snack on! 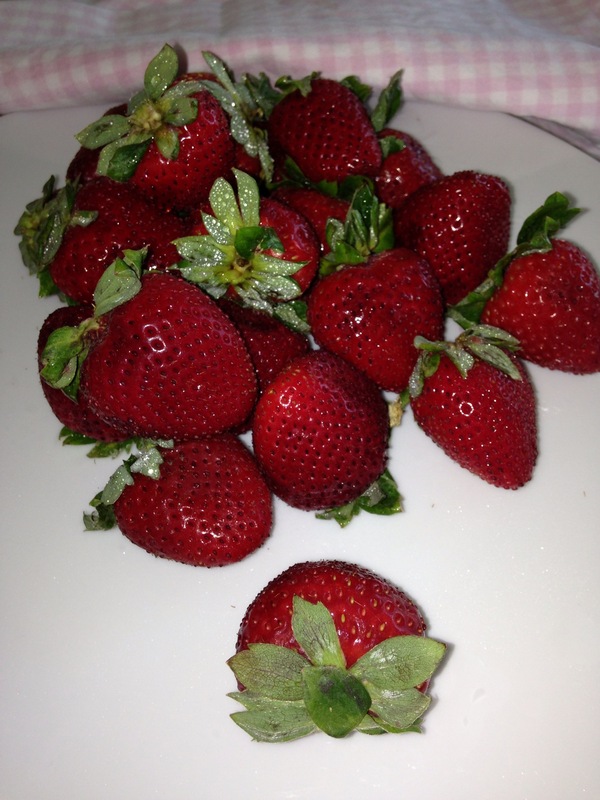 Choose a ripe and sweet fruit, my current favorites are pineapple or strawberries. 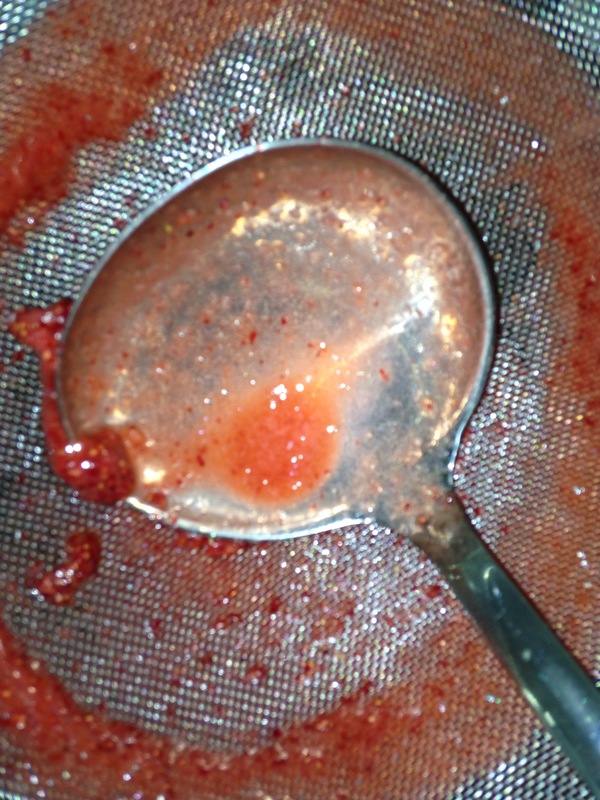 Wash, clean or peel the fruits, and puree them with a little amount of water. Just enough for the blade to take the fruits. 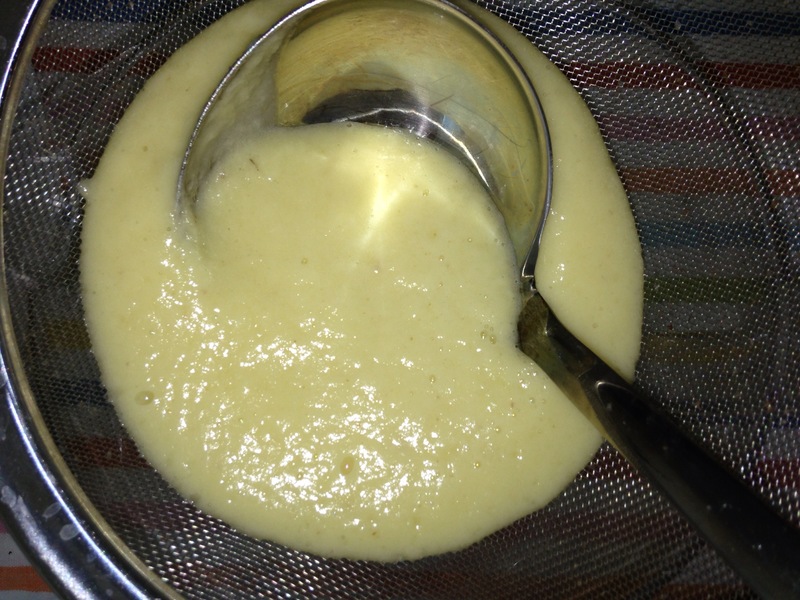 Add agave syrup if necessary and a dash of lime juice to taste. 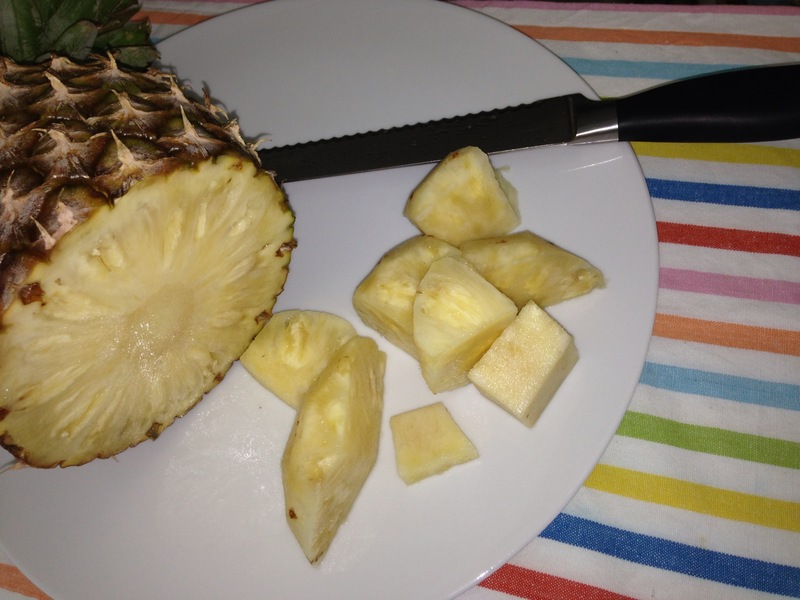 For the pineapple sorbet I didn’t add anything. 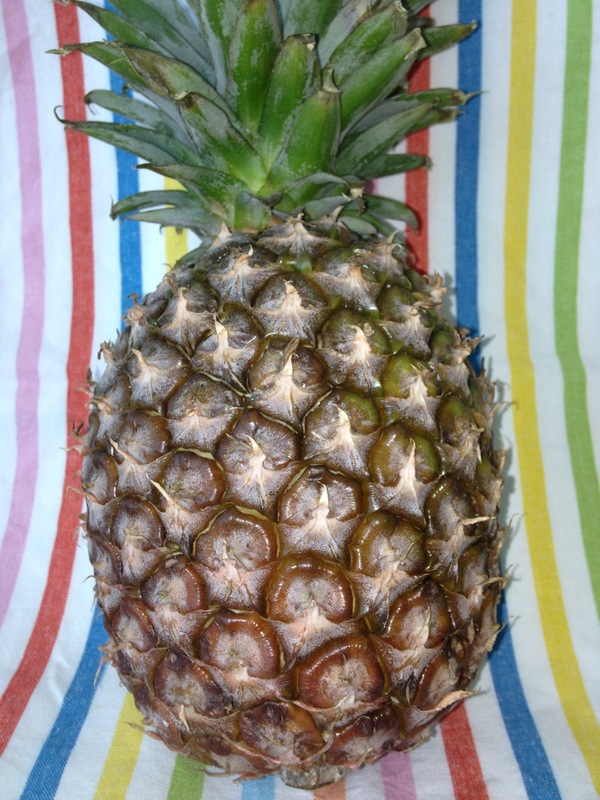 Often fruits are by nature perfectly sweet. 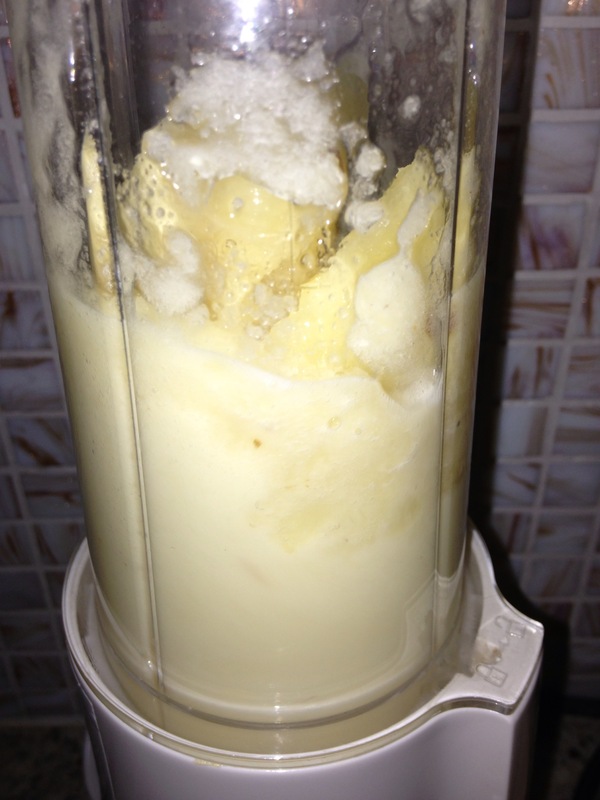 Adding a little bit of pure vanilla to strawberries or a little bit of ginger to pineapple is a good idea but not a must. 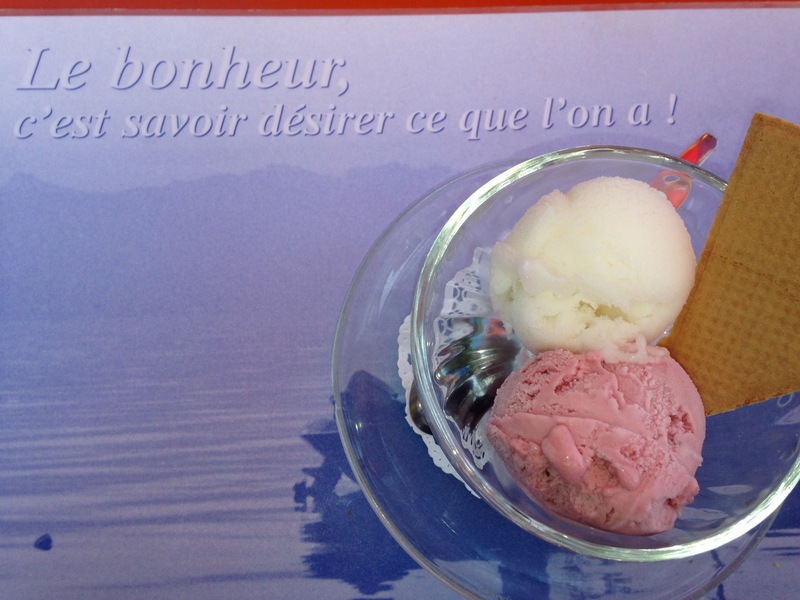 Try it if you like – the sorbets you see pictured here are pure and taste great as they are…. Strain. 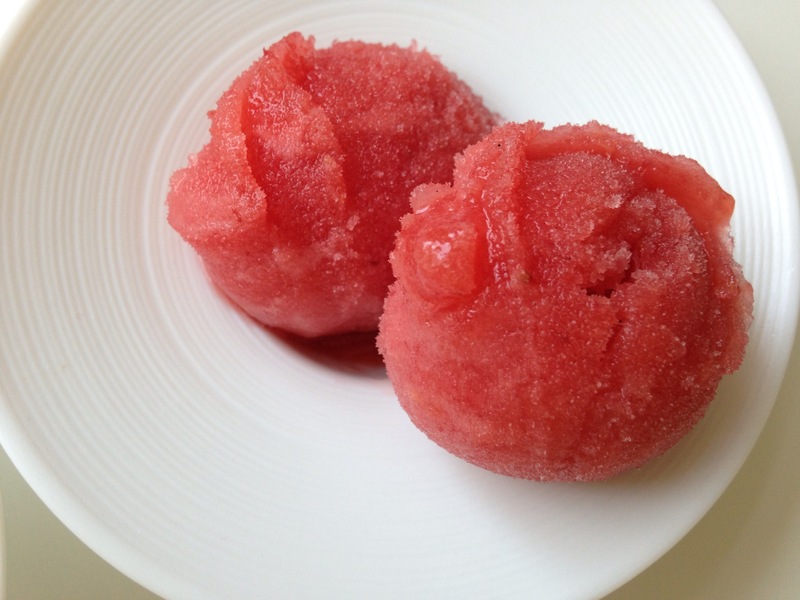 This is an option but I do it because the texture of the sorbet turns out much more smooth. 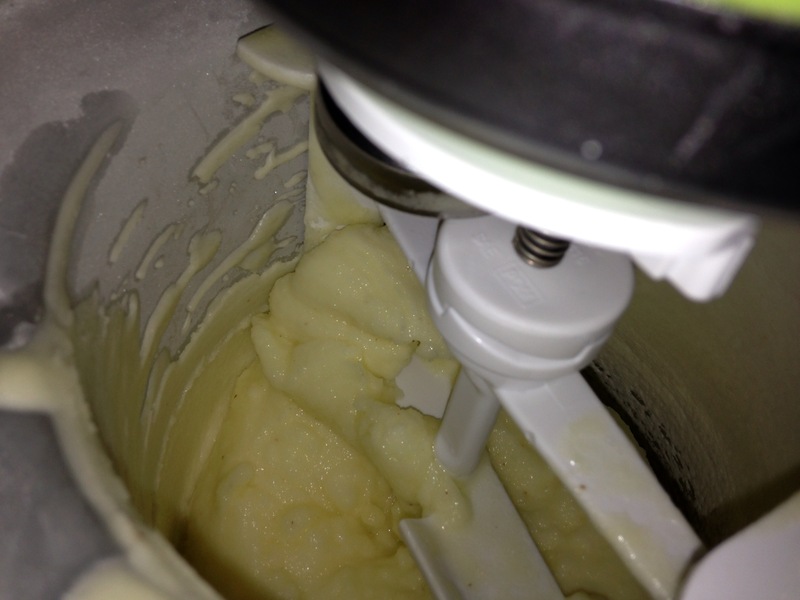 Pour the strained fruit puree into the ice cream maker and turn it on. Depending of the volume you make this can take from 10 minutes to 30 minutes. 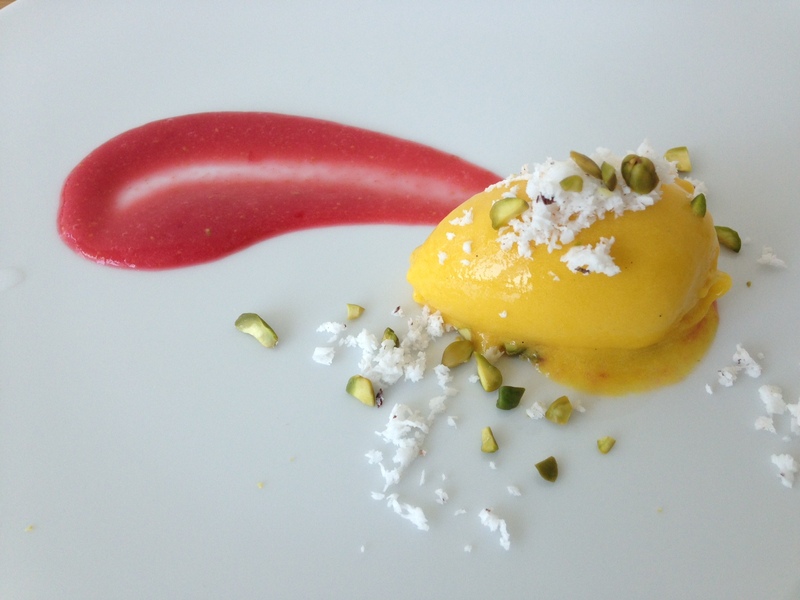 Then the sorbet is ready to serve! I often or always make more than I can consume in one go. 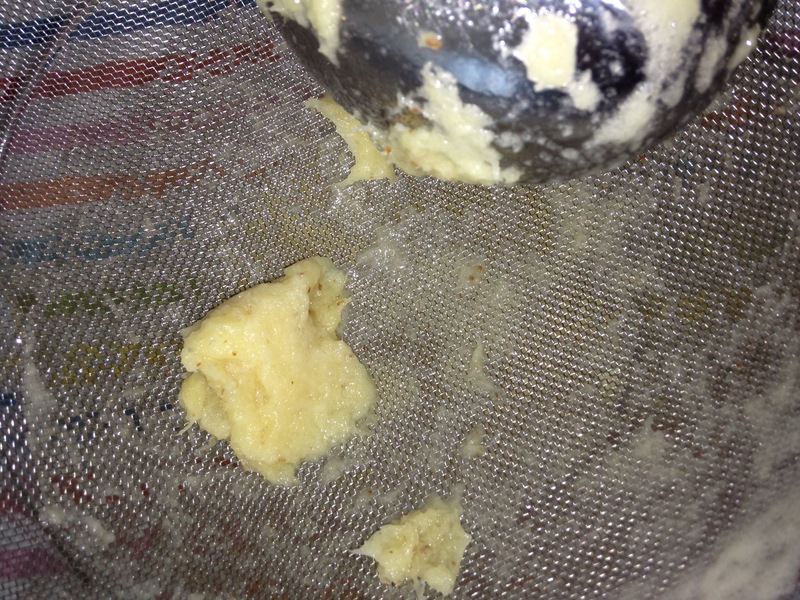 Hence I store my sorbet in a small container in my freezer. Ready to take out any time. By the way …. pictured below is one of the rare occasions I ordered “normal” sorbet in a restaurant. It was on a trip abroad. I especially loved the inspirational text on the placemat. So true. Have a lovely Eid holiday!